Master Hunter features a broad VG-1 San Mai III blade that's been flat ground to achieve the ideal blade cross-section and edge geometry. 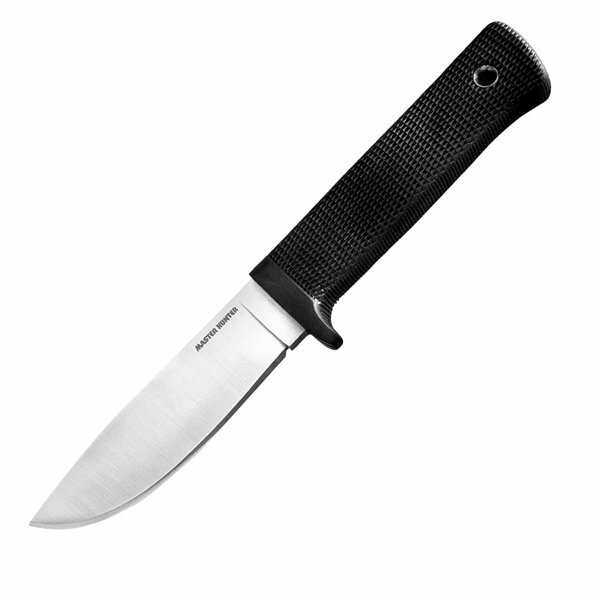 Carefully honed to razor sharpness, its edge cuts effortlessly while its dropped point simplifies the chore of field dressing and skinning. The spine of the blade is a full 3/16 inch thick to allow for the necessary strength and stiffness to field dress and skin the biggest animals. The grip is specially designed to promote long use without fatigue. Made of the shock absorbent, slightly tacky feeling Kray-Ex, and featuring our deeply checkered surface, it positively won't slip no matter how wet or bloody your hands get. Plus, Kray-Ex has specially enduring advantages in that it will never rot, shrink, crack, splinter, or mildew, and is completely impervious to even the harshest weather. 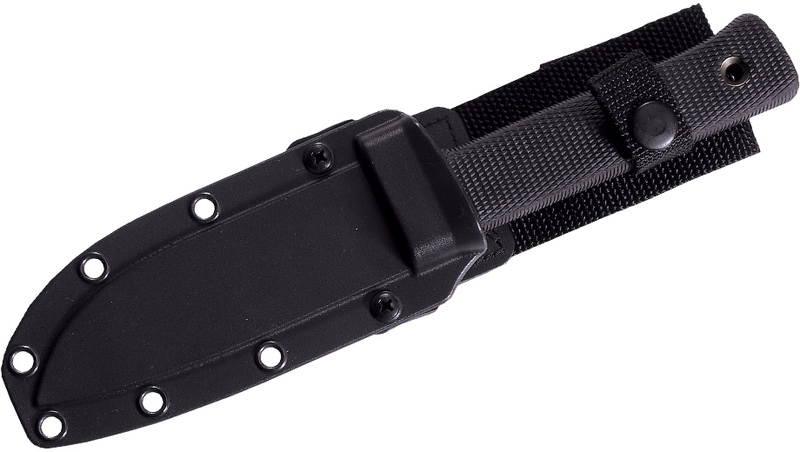 For safety, the Master Hunter comes in a thick, heavy Conceal-Ex sheath that will accommodate just about any size belt and allow you to carry it all day.